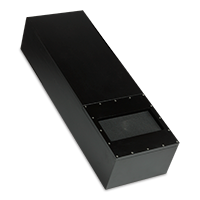 RBH Sound Signature Series in-wall speakers are designed and engineered to provide conventional, freestanding speaker performance while inconspicuously installed into the wall or behind a perforated screen. Featuring our proprietary, ultra-rigid aluminum cone woofers and high-resolution silk dome tweeters, the Signature Series offers unsurpassed acoustic detail and accuracy. 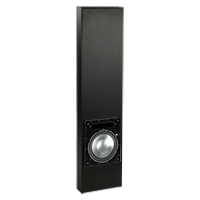 Since the Signature Series In-wall speakers utilize the same high performance components found in our award-winning Signature Series conventional floor-standing speakers, models can be mixed and matched as needed to create a truly customized, world-class audio or home theater system. The SI-10 model is designed to fit into standard 2x4 (16-inch on center) stud-framed walls, while the SI-1010 and SI-12 models are for in-floor or in-ceiling installation. 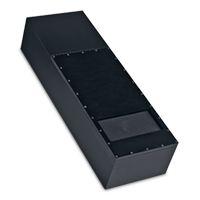 The SI-10, SI-12 and SI-1010 models are available with separate component-style subwoofer amplifier (SI-10P/SI-12P/SI-1010P).